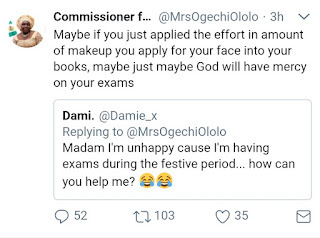 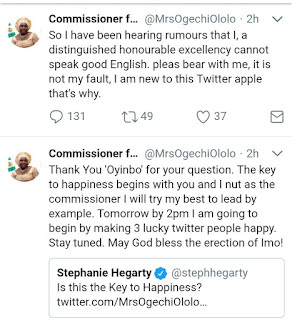 For correcting the Imo State Commissioner Of Happiness And Couple, Mrs Ogechi Ololo (fake account) blasted Reno Omokri by telling him that the sin his mother committed was "...by not swallowing that sperm that was wasted on your production." 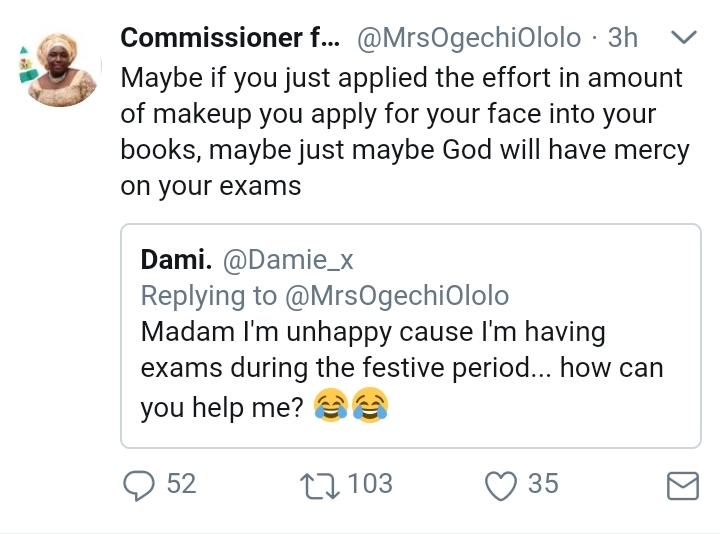 "The SIN that your mama committed by not swallowing that sperm that was wasted on your production. 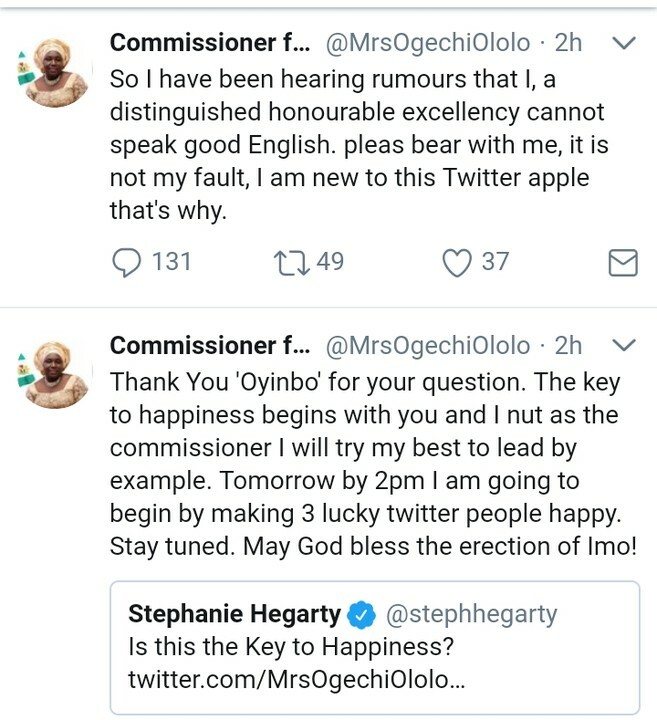 Anofia, Onyeberibe Zombie!"